It is ten years since the fateful 9/11 attacks, a day that for many serves as a dissecting line in history between “before” and “after”, between a world before that tragic attack which claimed the lives of almost 3,000 people, and after its even more tragic repercussions that resulted in a death toll many times greater. 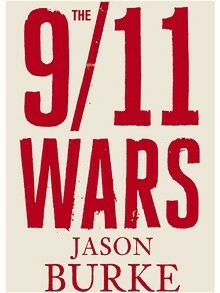 Jason Burke defines the fatal chain of events sparked by the 9/11 attacks – which itself was an effect as much as a cause – as the “9/11 Wars”, and in his book of the same name takes us on a journey beginning with the Al Qaeda attacks on the World Trade Centre and Pentagon, through the Afghan and Iraq wars, and ending with the “Arab Spring” currently blooming in the Middle East. Jason Burke is the perfect man for the job, as one of the longest serving British foreign correspondents, he has a rich experience of all the places he describes and talks about in his book, whether this is Waziristan, Kandahar, or Fallujah. Burke also has a strong background in this subject, and his previous critically acclaimed book “Al Qaeda: The true story of radical Islam” remains vital reading for anyone wanting to know more about Al Qaeda in particular or Islamic radicalism in general. “The 9/11 Wars” covers all the major struggles that have occurred since, and indeed because of, the 9/11 attacks: the toppling of the Taliban and Saddam Hussein regimes, the bloody insurgency and civil war in Iraq, the Al Qaeda bombings in London and Madrid, and returning to the resurgent Taliban in Afghanistan five years later. He describes the Iraq war as a “grotesque strategic error”, and captures both the US and Al Qaeda’s failures in this conflict. Both viewed this as being part of a global war, and failed to pay attention to Iraq’s particular context, local identity, and dynamics. Burke also writes strongly about the ineptitude of the western policies on the ground in Iraq. A long-term resident of New Delhi with an intimate knowledge of south Asia, Burke writes extremely well on the social and political fabric of the conflict in Afghanistan and Pakistan, and the tribal areas between them. His chapter on this lawless region and the radical groups that have made it their home is perhaps the best in the book and he writes that the Lashkar-e-Taiba is “arguably the biggest violent Islamic extremist organization in the world.” Burke writes authoritatively of the relationship between Pakistan’s military intelligence service and the jihadists they hope to use in their regional contest with India, stressing that this is today as great a threat to international stability as Al Qaeda. Indeed Burke agrees that Al Qaeda is significantly weaker today than it was a decade ago, and that its ideology has lost much of its appeal in the Middle East, particularly in light of the “Arab Spring.” However he is not yet ready to completely write off Al Qaeda, stressing that it still poses a significant threat in both Pakistan and Afghanistan. Burke’s account of the past decade stands out from other such accounts written by academics and diplomats, thanks, in part, to his first hand regional experience and expertise, and he is able to draw the reader in and describe events in a convincing and attention-grabbing manner. However, for all the interesting anecdotes and personal observations that pepper this book, it is as much an academic or scholarly work as it is an example of first-rate reportage. The book’s greatest strength lies in its detailed, balanced overview of the past decade, rather than it advancing any grand new theory about what remains a complex and ever-changing situation. However at a time when more books than ever have been published about terrorism – 11,000 according to Burke in comparison to less than 1,000 prior to 9/11 –the “9/11 Wars” must certainly be considered one of the best.